Short Handle Leveling Base for BT Precision tripods. 75mm bowl allows for an amazing +/- 20 deg of rotation. Made of 6061-T6 AL bowl and bottom disk with a light weight delrin handle. Spring loaded to allow for precision movement if desired or full lock if no motion is needed. Handle is 1.00 inches long with ergonomic griping grooves. 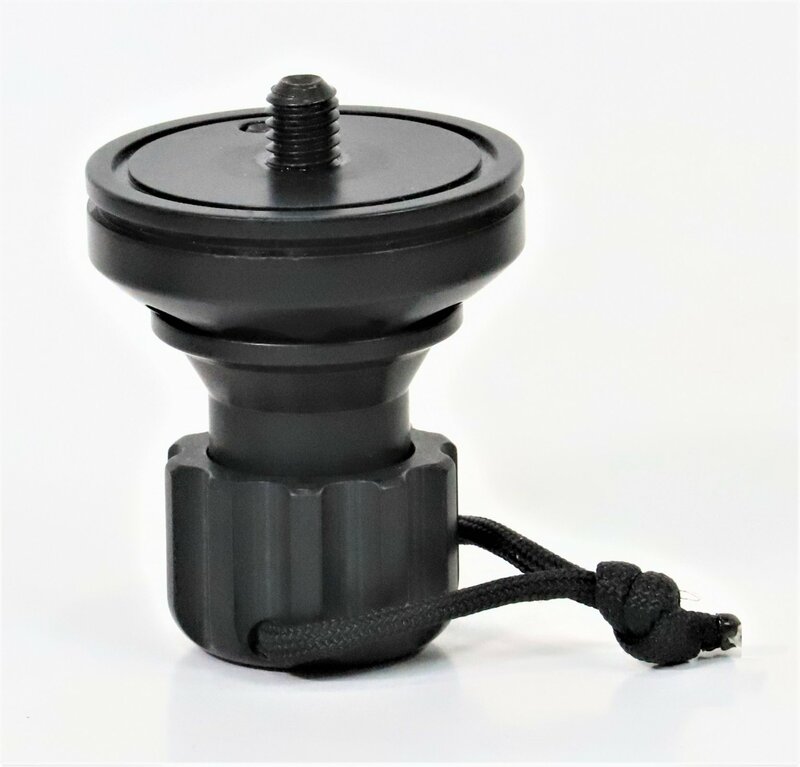 3/8-16 thread head interface with 1/4-20 head rotation locking nut.